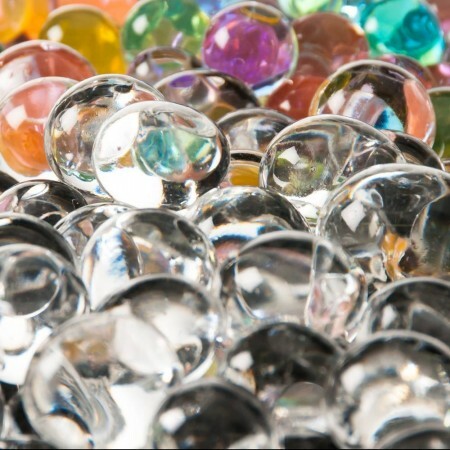 While people are still planting seeds for the summer’s gardens, why not be a little novel about it and use some polymers, specifically Water Jelly Marbles, or Clear Spheres? 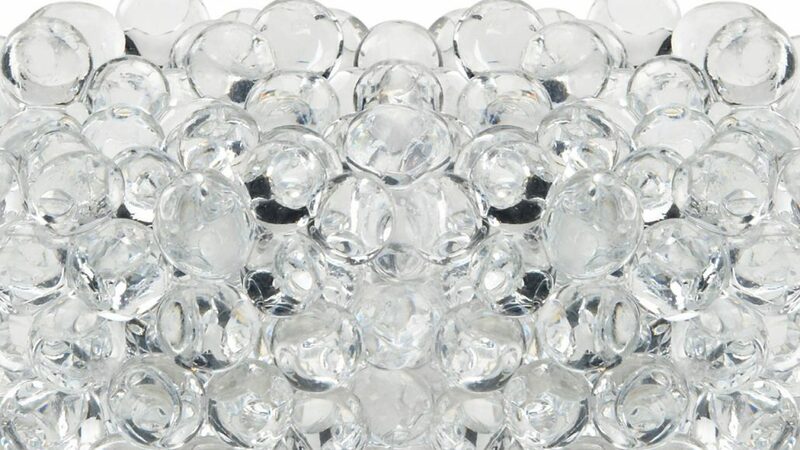 Spangler Science’s Water Jelly Marbles – Clear Spheres – have so many and varied uses, and gardening is one of those uses. In fact, gardening itself has many and varied uses for Water Jelly Marbles (better known as Water Beads). 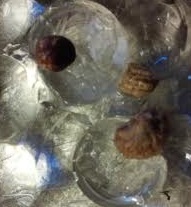 Both multi-colored Orbs and Clear Jelly Marbles can be used for this experiment, and both work equally well, but you’ll be able to SEE the results better if you use the clear marbles. 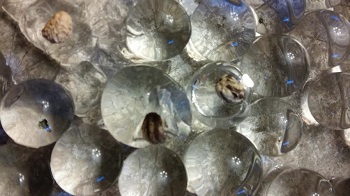 Multi-colored or clear, any kind of water jelly marble will work for this experiment! First of all, you’ll need to hydrate the tiny polymer balls and let them grow. I usually put some in a shallow pan and add water. These water jelly marbles are almost full grown and ready! For experimenting, I like to use nasturtium seeds because they grow so incredibly fast. Any kind of seed, except the very large ones, may be used. Using a VERY sharp knife, make a tiny slit in the jelly marble, and insert the seed. It’s okay for the seed to stick out a little bit, but most of it should be inside the jelly marble. 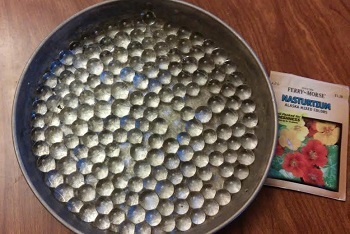 My kids looked at the pan of seeds-inside-the-marbles and said, “Jeepers, Mom, it looks like a pan of fertilized eggs!” They do, sort of. That’s another kind of lesson, however. Like any kind of hydroponic garden, the nasturtium seeds should, within a few days, germinate and begin to grow. When they are still pretty tiny, I’ll transplant them to some actual dirt, polymer ball and all! 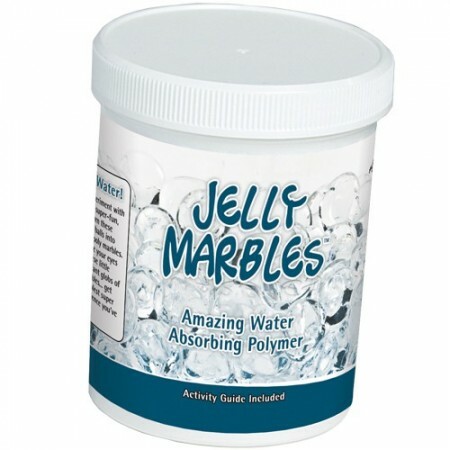 The water jelly marble will continue to help hydrate the plant even after it blossoms; that’s one reason people put a pinch of polymer marbles under the root or with the seeds of both vegetable and flowering plants. Polymers are the gardener’s best friend! I can’t get the seed to stay in the water jelly. Any suggestions? It’s all right if the seed isn’t all the way inside the water jelly orb, just so most of it is in there. Oh, yes, that works. I love to do that, in fact! Sometimes I will put a single seed in a baby soda bottle test tube with some clear jelly marbles and watch the growth process all the way to a blossom.